Each year in the United States motor vehicles kill nearly 7,000 pedestrians, accounting for 15% of the nation’s motor vehicle traffic fatalities.1 Nonfatally injured pedestrians number over 110,000,2 and many suffer serious, disabling injuries. 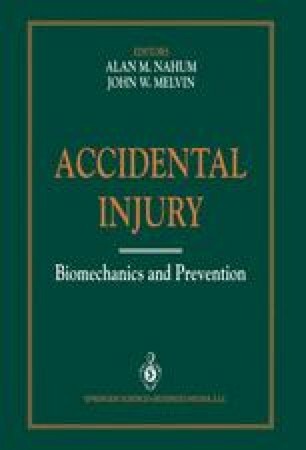 Developing vehicle-based countermeasures to reduce the severity of this trauma has often been considered an intractable problem, consequently limiting efforts in this area. In recent years, however, accident data analyses have provided a more thorough understanding of the pedestrian accident environment. The most frequently and seriously injured body regions, as well as sources for those injuries have been identified. Based on this knowledge, research to reduce pedestrian trauma has begun to yield encouraging results.